Karagahagedara is a typical Ambalama in Sri Lanka’s Kurunegala district. 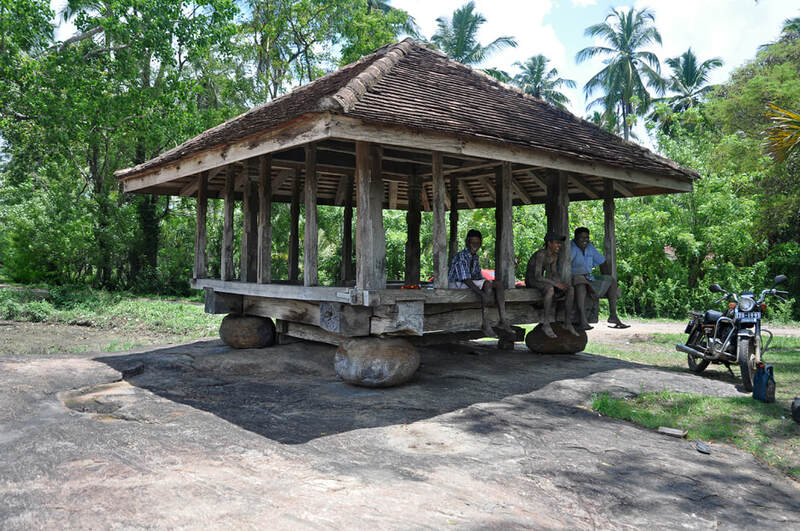 An Ambalama served as a meeting place for locals and pilgrims, who rested there for free. The picturesque small wooden hall on stone pillars is far away from all major tourist routes.